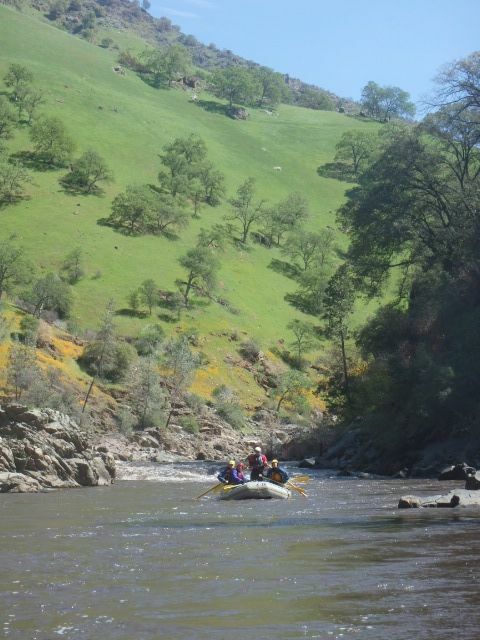 We are getting reports–and by “we are getting” I mean we know from our own eyeballs on the Tuolumne River this spring–that the Tuolumne is prettier right now than it has ever been. Which is rather awesome given that the canyon experienced one of the worst fires in California history last summer. Look for a detailed report on the canyon’s recovery soon; what you need to know right this instant is that the canyon is green, verdant, and covered in California poppies. There are places where it looks like someone dropped a Paul Bunyon-sized packet of Mac n’ Cheese powder on the hillsides. Our guests last weekend enjoyed the spectacular show and so will you if you hop to it NOW and raft the T with us this weekend! We still have some room but spots are limited so call now now now. We’re here at (800) 247-2387.